Exceptional new construction home by one of the area's most respected builders. Featuring one of D&G Constructions most popular new construction homes, this one has everything! 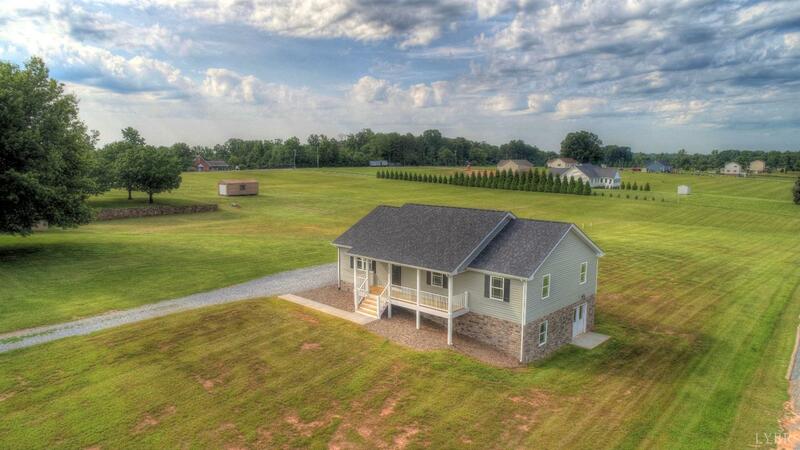 Located on a peaceful 1.5 acre lot, you will not find a more tranquil setting. Perfectly level lot is ideal for playing sports or simply relaxing. Storybook style rocking chair front porch is inviting to all guests and the perfect place to spend lazy evenings. Inside you will appreciate the soaring cathedral ceilings, abundant natural light, and fabulous hardwood floors throughout the main level and stairs. The bright, modern kitchen boasts magnificent granite counter-tops, high end stainless steel appliances, thoughtful design, and nice breakfast area. Stepping out on the private back deck you find the perfect venue for cookouts and entertaining. 2 main level bathrooms are gorgeous, featuring high-end ceramic tile & more. Bedrooms are spacious and comfortable. Lower level offers another 1500 sq ft. Call today!